Prince Creek is a master-planned community, adjacent to the Tournament Players Club Golf Course in Murrell’s Inlet. Designed by Tom Fazio, the TPC offers neatly clipped greens with lakes, ponds, and lush natural areas teeming with wildlife as a backdrop for Prince Creek subdivisions. There are a wide variety of subdivisions, from golf course views to gated neighborhoods, which features homes to suit every lifestyle and budget. 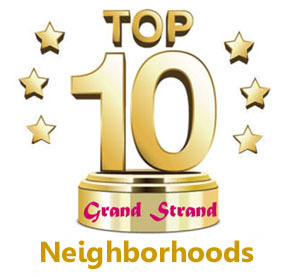 All are just a short distance from all of the exciting destinations on the Grand Strand, with its great shopping and fine dining. Linksbrook is a favorite choice for its great location and beautiful homes built by Pulte Homes. Only 20 minutes from Myrtle Beach International Airport, this subdivision is within the Waccamaw School District and 1.5 miles from the community boat launch. These 2 bedroom homes offer spacious floor plans of 1,536 to 1,961+ square feet are priced from $184,490 to about $250,000. Prince Creek communities share an array of great amenities. For more information on Linksbrook and other great Prince Creek neighborhoods, call our real estate professionals today and let us help you find the perfect home for you! Listing courtesy of CENTURY 21 Boling & Associates , The Thill Team. Listing courtesy of CB Chicora Advantage Surfside , Donna Sites. Listing courtesy of Strickland Appraisals & Realty , Ron Strickland.